Zimbabwe is amongst the most difficult places to operate as a journalist in Africa as the state continues to trample upon the freedom of the press. In the past few months a number of journalists have been arrested or beaten up for reporting the truth. 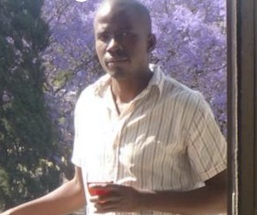 32 year old reporter Edgar Gweshe is one of the victims of state brutality. Whilst in the line of duty, he has been beaten up by Municipal police officers whilst covering a demonstration by vendors who were resisting forced relocations in the Central Business District (CBD). Again, barely a few weeks after that embarrassing incident that was condemned by the Zimbabwe Union of Journalists (ZUJ), Edgar was severely beaten by prison guards at Harare Remand Prison whilst covering the case of human rights activists who had visited their colleagues at the prison. To add more insult to the injury Gweshe was arraigned to the courts where he is facing charges of attempting to organize a prison break. “I’m very passionate about my job and this has led me into trouble with the authorities. I have been beaten heavily and have been arraigned to the courts following the prison visit that I was again assaulted. This will not deter my job and will carry on with my work,”he said.